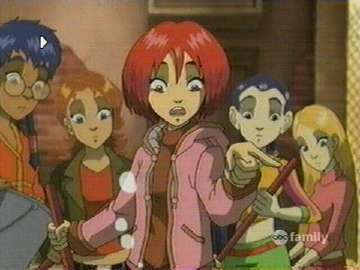 Scarlet Rhapsody > Toon Tangent > [Toon Tangent] Magical Girls of the West W.I.T.C.H. Water…Fire…Earth…Air. Long ago the four guardians lived in harmony. Then everything changed when Prince Phobos attacked. Only the heart of Kandrakar could stop his tyranny, but when the worlds needed it most it vanished. Only the new Guardians of the veil could stop him. They may be young and inexperienced. But Grandma and Blunk believe they can save them all. W.I.T.C.H. Started as a hit Italian tween book in the early 2001 and garnered enough popularity for a television show premiering in December 2004 and concluding in December 2005. Having quite the short run of a Disney licensed show. It’s graphic novels, however, continued into late 2012 ending a whopping 139 issue series. A feat normally held by manga and big name comic books regarding such world and character building. Following a group of 5 middle school friends it has a plot not unlike the vastly more popular Avatar the Last Airbender of a hidden tyrant causing harm to the innocent of the world. Though rather than follow one main hero W.I.T.C.H. Keeps all 5 girls as main cast never one better than the other. Their duty is to grow with their newfound powers closing tears in the veil separating the two worlds of Meridian and Earth. Having a slice of life mixed with fantasy adventure W.I.T.C.H. Keeps a great balance between the two mediums. Such as highlighting on the struggle of keeping family and school unaware of their many absences while fighting the creatures Phobos sends through the veil. This struggle causing many an argument within their families. Even causing the rift between a dear friend of the 5 girls resulting in Phobos’s power grab. The varying personalities of the girls also give a fresh look on friendship as they often don’t see eye to eye. Will as the perceived leader is the new girl, having a shy demeanor, she struggles with the other 4 at periods at the start having not the long standing friendship they posses. Her possession of the Heart of Kandrakar puts her at odd ends with the other girls especially Cornelia. Hay Lin is the granddaughter of former guardian Yan Lin, like her grandmother, she controls the element of air and has a personality befitting the element. Her mannerism always aloof and quick witted though not always coherent. Water goes to Irma, who must always get the last word in with some form of joke. Though this tendency does get her in hot water with the others at dire moments. Despite her less than caring attitude provides them with comfort at stressed moments. Taranee takes up the volatile element of fire. Though glazed over in the show she does have a fear of the elemental and has trails of overcoming to help the others. Closer to Will she shares the same shy nature. Last but not least is the Element of Earth Cornelia. The naysayer of the group she pulled from her destiny more than any other. Fashion obsessed and disgusted by her ‘dirty’ element she clashes the most with the others. Even the focus of an episode in which she abandons them declaring it all too much. 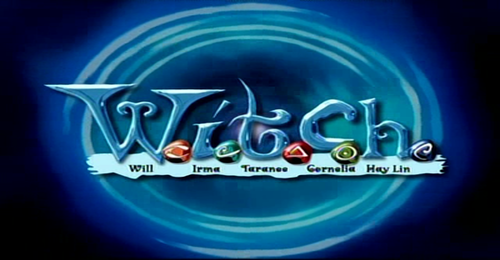 W.I.T.C.H.’s world building is crafted well considering its target audience. 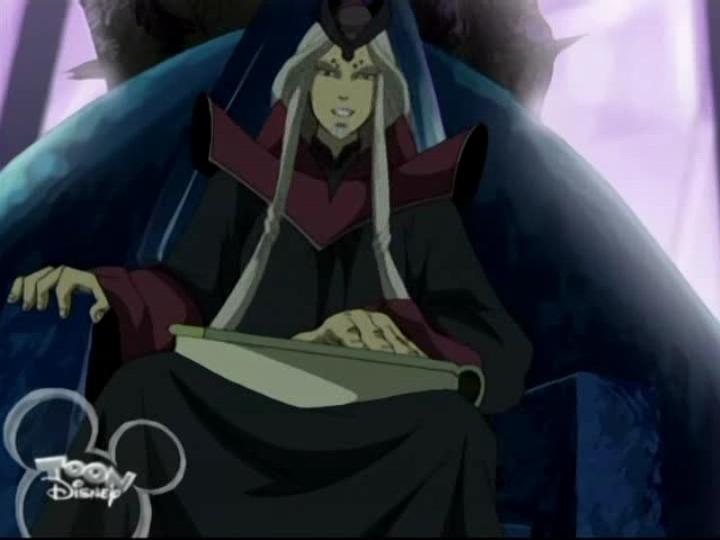 Within the first episode the connection of the worlds as well as the wants of the main villain is laid out in a backstory within Yan Lin explaining who and what the girls are. Meridian even sports different races that at first off putting the girls. This creates a more believable environment of fantasy to a group never associating with it prior. Under Phobos’s rule the city and the castle are in perpetuated gloom. The people unhappy, the weather never clears keeping a constant stormy feel. At times this is implied to the darkness of his heart reflecting on the world. In fact, Phobos is unapologetic as a villain. When shown failure of his men they are often times punished severely such as being drained or thrown down a bottomless pit. He demands nothing but cruelty from his workers, even showing staff chained. In all this well crafted show was cut short with the promise of the 3rd season and movie. Complains arose over the material shown not uncommon with a dubbed series. As it was originally a french aired television show. W.I.T.C.H. Holds a whimsical tone mixed with a slice of life and fantasy. It’s well worth a watch if only to get stuck on the catchy opening of “We are Witch.” The fantastic storytelling mixed with the lives of young girls, breathes life into a genre not often seen in a Western line up.